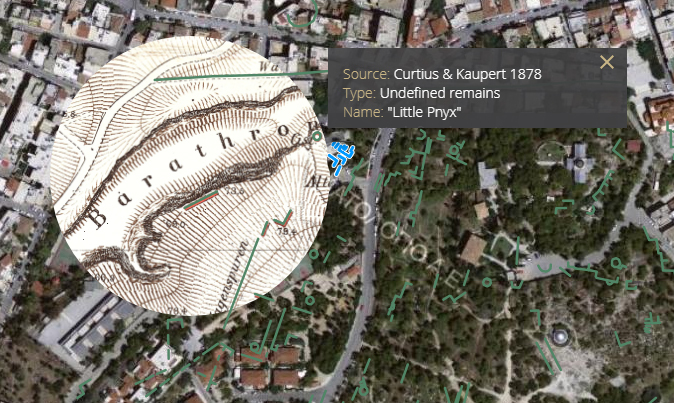 Dipylon presents the digital platform on the Western Hills of Athens, a project that was carried out in 2018 with the kind support of the John S. Latsis Public Benefit Foundation. The team of Dipylon collected and processed archival material that documents the changing morphology of the Ηill of the Muses, the Pnyx, and the Nymphs. Our focus is on the archaeological remains, the road network and the constantly changing topography, i.e. the human presence and activity on the Hills.